Reviewers of kickstand4u™, feel free to use our “Contact Us” form to give us feedback. We will update the “Review” link as needed. 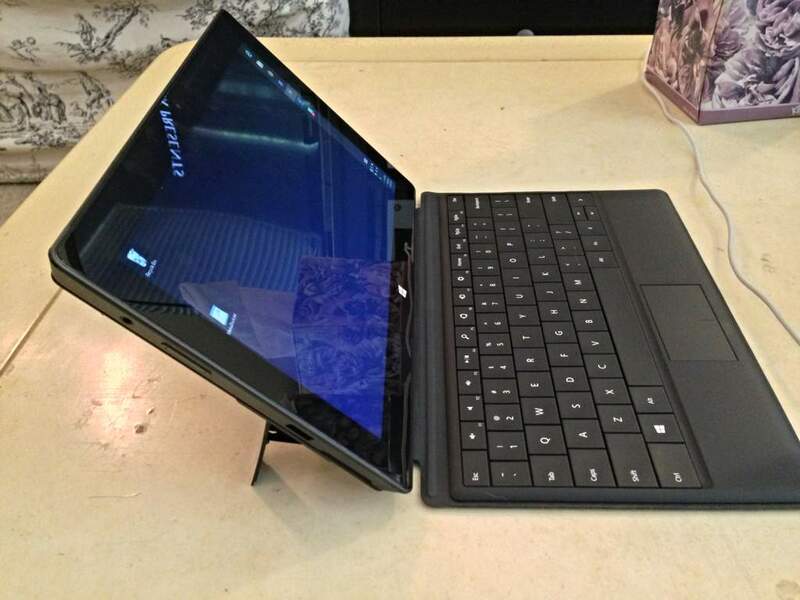 It is a kickstand you can apply to any device period. 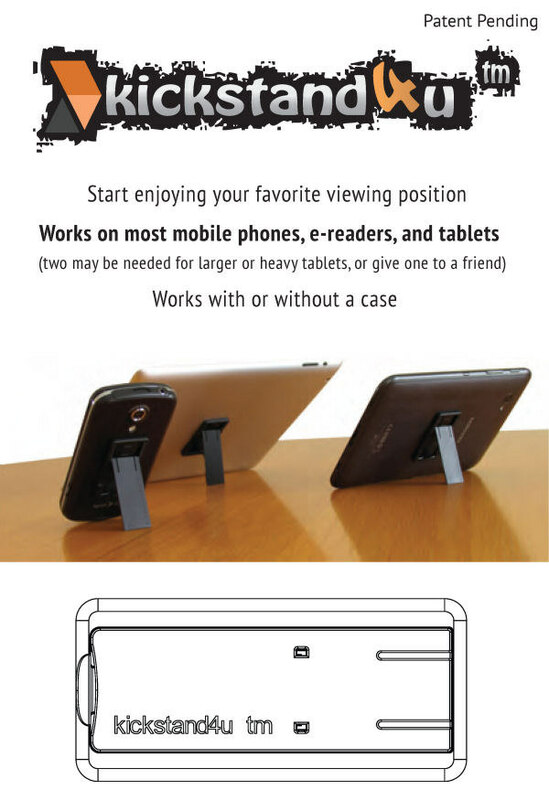 It is a plastic piece with 4 adjustable settings (two for phones and two for tablets) for different viewing angles and different orientations. It is attached using an adhesive sticker. What comes with the Kickstand4u™? The kickstand with adhesive backing(duh), alcohol wipe, installation instructions, and a spare adhesive backing. What finishes come with the Kickstand4u™? Click Picture to see current textured finishes. Clear, semi-clear, glossy black, and matte black. Yes. 7" tablets and 10"+ including iPads (BOO APPLE!) Mouseglider is in the process of making an extension for tablets. Not sure about the ETA on this. Kickstand4u comes with installation instructions that a chimp can follow. The adhesive comes with a small strip of adhesive that you can use to figure out where to apply the kickstand. The adhesive is pretty strong as it held up a few tablets I had with no issue or signs of popping off with just a few millimeters of contact. The install on my Galaxy S3 was simple and quick and I had it working in no time at all. I had to play around with the proper placement and the correct orientation for a tablet. Click here for "full detailed" instructions. 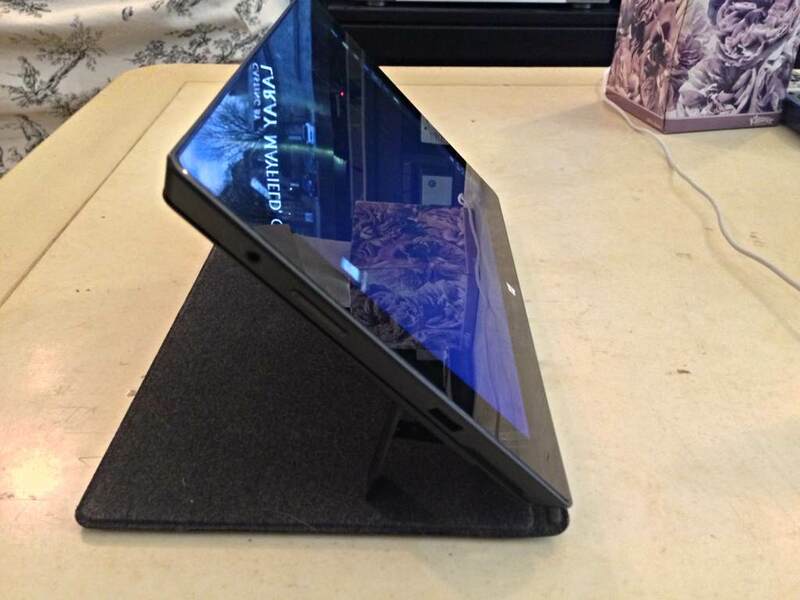 Click here if you have a small tablet like a Galaxy Tab 7.0 - Nexus 7 - iPad Mini. Click here if you have a large tablet like a Galaxy Note 10.1. Click here if you have a large tablet like a Apple iPad. Removal is a bit trickier as this is an adhesive. So some of you that don't want to slap on something to your naked phone might not want to use this. I have tried the removal off my Galaxy S3 and it sent smoothly without any sticky residue, scratches, or any gunk left behind. Mouseglider has removal instructions on his site. Once the install was done, I was pretty much blown away by how much I actually use a kickstand. It is a bit stiff when you first use it but it breaks in after about a week of daily use. I have used many different types of kickstands from ones built into phones (Evo 4G, Evo 4G LTE, Thunderbolt) and ones built into cases (Seidio Convert, Seidio Active) and this is by far the best kickstand I have used to date. The width of this kickstand makes it ideal on different surfaces and in car use. Those thin little stands would not hold up to a sharp turn in a car. I use these on my Nexus 7 for car rides for the kids and it stays standing through all turns and stops. 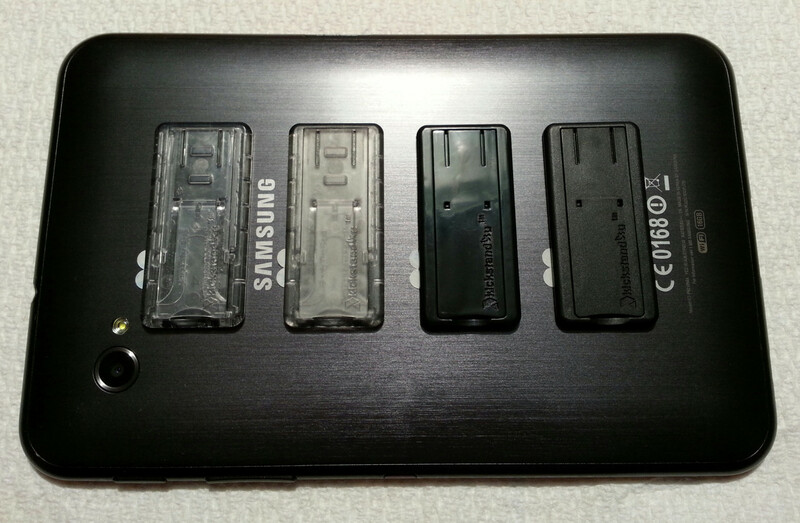 I also applied two of them to my Nexus 7. My GOD this was awesome. A 7” tablet is great for watching videos in bed but I always had to hold the damn thing. I put two of these on and left it on my nightstand and it does WONDERS. (One would work just fine too but I wanted two damn it!) I now have insomnia because of this thing. I slapped it onto the back of the Nexus 7 without any issues despite the textured back. It has held on strong and I actually use my Nexus 7 more because of kickstand4u. While the kickstand on phones is not a new idea, the ability to slap it on whatever and where ever is what makes this stand out. I'm sure you can find other uses for this on other devices. Can't get any simpler than this. A little long to remove but you won’t be doing it often. Insomnia from watching stuff on your device all night long because of this thing. Buy it if you do a lot of video viewing or want to prop your phone or tablet up at work but don't want to buy a dock or have a dock made for your device. Awesome for movies on tablets and for flights instead of holding your tablet up. Hi all, thought I'd share some pics of how I work with the surface pro. I wanted it at a more natural drawing angle (about 45 degrees), so I bought two adhesive kickstands, and viola! The brand I got was "Kickstand 4U". There's probably other versions of this thing out there too. Purchasers of kickstand4u, feel free to use our “Contact Us” form to give us feedback. We will update the “Review” link as needed. Very cool. I have one on my iPhone and it's great! Arrived today thank you. what a great little product this is, well worth the wait! I got these for my Microsoft surface pro and the angle is spot on. Unfortunately I am an idiot and put them both on in the wrong place first, but thankfully I had a second chance with the spare sticky pads. I was worried about removing them but they came off so easily with a gentle prizing with a plastic tool. I was impressed the neat packaging, good first impressions and instructions couldn't be easier to understand. I will be recommending you to people here in the UK. 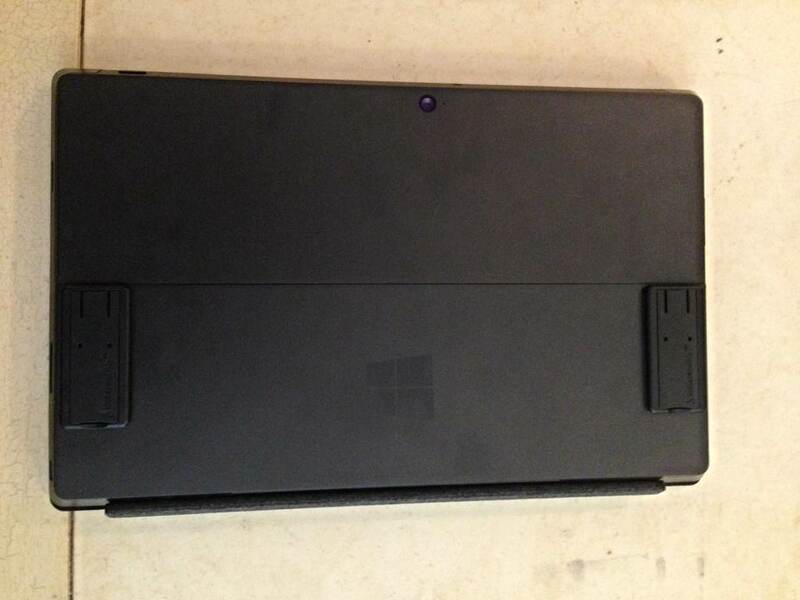 Plus it's a much cheaper option than upgrading to a surface pro 2 just for a better kickstand! I bought the kickstand4u and I love it. I have a Samsung S3 in an Otterbox Commuter case. I discovered a great way to mount my S3 with velcro to my vehicle's dash. But, I thought how can I have a kickstand too? Simple - I installed velcro on the kickstand4u. Now I can remove the kickstand4u when I use the S3 in my vehicle and pop it back on when I need it. I wanted to share this with you in case anyone else has the same setup. I have attached some photos. Great product! That is a great idea. Thanks for the suggestion! I have purchased five of your Kickstan4u for my family and they all love them. It's even better than the built in kickstand on my wife's EVO. I received it very quickly and installed it on my Galaxy S3, right between the Sprint and Galaxy S3 logos. I have the Belkin bumper case on my phone also. Although the stand in very slim, my phone does rock when not in use and laying on its back. I mainly use it while watching movies in landscape mode with a bluetooth headset. It has worked great for this, no slipping even when I have bumped the desk. I ordered the translucent satin for my white phone, but the adhesive is black and it shows through (purely cosmetic). The tip of flicking the stand to close works great and I would suggest everyone do this. Super fast shipping and very impressed with the professionalism of the packaging. So far it's great. ZERO problems. Absolutely love it! I have purchased one these and I like it a lot i mostly used it like a fly grip to use with one hand securely and to stand phone up using Skype. I just put the kickstand4u on my naked 1520 and I'm really enjoying it. I had a cheap kickstand case from amazon that I enjoyed using for the kickstand but it was so bulky and the kickstand has started to rattle pretty badly and is almost able to open on its own (just an annoyance but it really bothers me). The kickstand4u matches nicely with the finish on my black 1520 and works great in landscape mode. Unfortunately it doesn't work in portrait mode but I won't be using anything in portrait mode with it anyway. It also helps with using it one-handed. I'm able to grip the kickstand with my fingertips and reach all of the screen with my thumb. I have to stretch for it but is nice in a situation where I only have one hand free. Also, when I lay my phone down on its back none of it contacts the surface meaning my camera and back of the phone won't get scratched by setting it down. Everything I was looking for. Fits beautifully like it was made for my phone, works in portrait and landscape, feels durable and folds away to a minimal profile. The number of cases with integrated kickstands are small and usually gaudy, but this keeps a professional look on any device. Highly recommended. I wanted to express my appreciation for your kickstand4u mobile kickstand. It has exceeded my expectations and proven extremely useful. I am a field technician and my smartphone is my right hand. 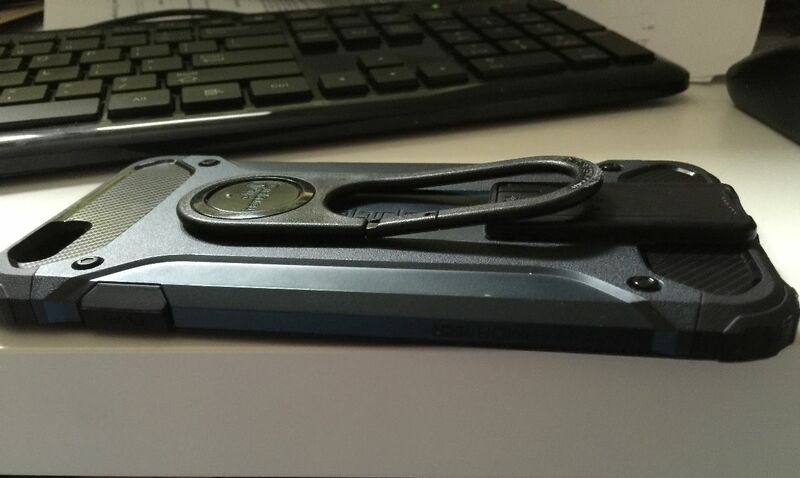 This kickstand attaches to my extra large case with 9600 mah battery. It makes the smartphone a super effective tool, thanks! 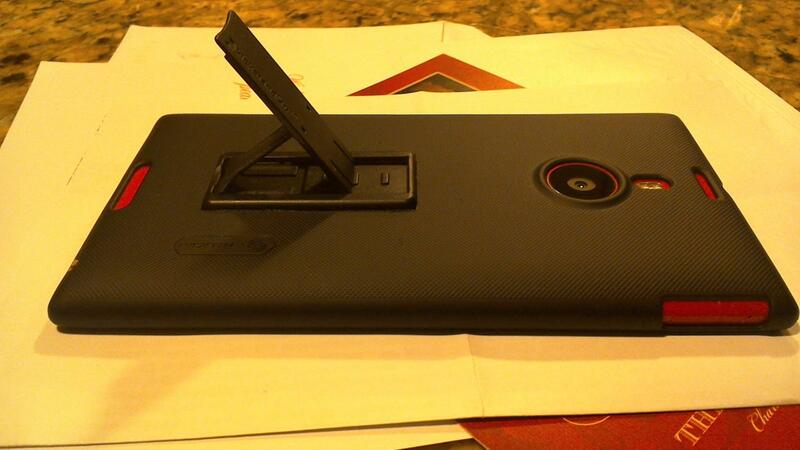 I added a kickstand4u to my Nillkin case (Nokia Lumia 1520). 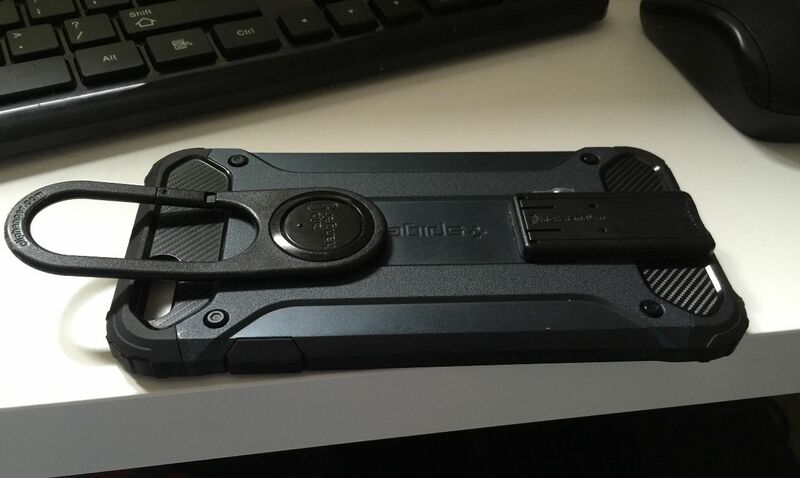 I cutout the case so the kickstand would be inset. Works great! I Thank you Mr Fong for being willing to work with us, out of your own pocket if needed, on the shipping! We are truly grateful and didn't expect that at all. Can't say it enough, your customer service is impeccable! I know you are a moderately small company but to be able to get such full and quick responses from the inventor himself, is just an absolute breath of fresh air. Just received my order! Wow, I'm blown away with the quality and functionality. Better than I'd hoped for! And again, regardless of improvements I might suggest, one heck of an amazing product and does every inch of what it is claimed to do! I just wanted to thank you once again for all of your help. I just received my shipping notification, and I am ecstatic to receive my kickstand. Your customer service was impeccable, and I wish you and your wife the best with your company. So far I love the new version 2. Seems more sturdy and just as useful! Once I get my phone replaced, I'll send you pictures of my "TPU case with a hole cut in the back". The kickstand arrived today and I put it on my case immediately. I have a Spigen Tough Armor Tech case for my iPhone 6 Plus. In addition to the kickstand, I also have a Cliphanger Pivit clip attached to it. With the kickstand attached, I now have the ultimate pimped out phone case that I love. The kickstand is truly a genius invention. I love the multi position angle selection that it has. And that it can function when the phone is in either landscape or portrait mode. My frustration with cases that have an integrated kickstand is either the flimsy construction where it breaks easily, or its positioned to only work in landscape mode or portrait mode but not both. Your Kickstand solves all of those dilemmas. Attached are two pictures. The phone is not in the case when these pictures were taken. I may end up moving the kickstand up a little bit, but it's workable from where it is. You will see that there is enough clearance underneath the Cliphanger (when the Cliphanger is rotated in the out-of-the-way position). Obviously I have to rotate the Cliphanger to it's working position (loop up) in order to use the kickstand but I don't mind that. I've used it in both portrait and landscape mode and it works just great. I truly feel I now have a great solution that offers me both a belt clip and kickstand. I love the tripod mount, it's great for making videos of my products and putting them on Instagram. My favorite setup with this kickstand has been a simple TPU case with a custom cutout for the kickstand, attached to the phone back. This way I have the protection of a case, but the kickstand doesn't stick out all that far... And the wireless charging works fine through the kickstand (Note 3 and now a Nexus 6 with an Itian A6 desktop stand). Just thought I'd let you know how I use it and how well it works for me.